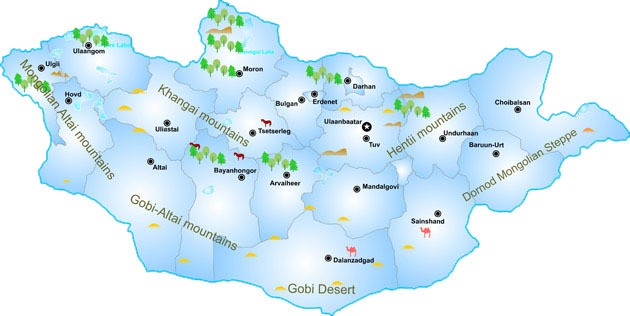 In the morning transfer to airport, take a flight to Dalanzadgad, the capital of UmnuGobi province. The flight takes one and half hour. Camel Festival Days! This event will be organized by “Tumen Temee” (“Ten Thousand Camels”) - association in order to protect two humped Bactrian camels and reproduce camel herders, to increase their productivity, to increase herder’s income by tourism. In those days we will “breathe” by camels. You will enjoy authentic festival program including, camels racing, children s concert, camel wool product exhibition, camel polo, parade on camels and nice couple competition. Also you will enjoy relay competition with camel. An entertaining competition which shows camel training methods and customs of “Heroes of great Gobi” people, overcomes severe climate and harsh condition of Gobi by their effort and endurance. Teams each having 5 members participate in it and show many methods and techniques of catching camel with lasso, tying and bringing down, putting wooden peg into camel’s nose and loading camel. Optional camel riding is available. Stay overnights at the camp. Fly back to Ulaanaabatar and transfer to the hotel. In the afternoon time for relax. Shopping includes State department store and cashmere shops. Enjoy watch national folklore performance by “Tumen Ekh” national song, throat singing, tsam mask dance and so on. A farewell dinner and stay overnight in hotel.